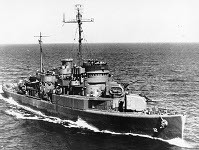 Type and Characteristics - Small seaplane tender, Barnegat-class, AVP-12, built by Puget Sound Navy Yard, launched 15 November 1941, commissioned 27 December 1941. 2,800 tons, 311ft long x 41ft beam x 13ft draft, 20kts, armed with 4-5in guns, 215 crew, first commanded by Commander T. S. Combs. Log Period and Areas of Service - 1941-47, Alaska, Aleutians, Central, South West and Western Pacific campaigns. 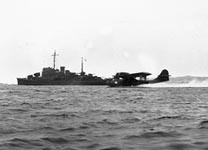 Early 1942 – Patrol and seaplane tender duties off NW coast. 5 May 1942 – Arrived Sitka, Alaska to survey for seaplane moorings and carry out tender duties. Based at Cold Harbor, and visited Dutch Harbor, Chernofski Harbor, Kodiak, and Nazan Bay. 30 August 1942 – At anchor in Nazan Bay, torpedoed and damaged by Japanese submarine RO.61, got underway, beached and later salvaged. Five crew killed and 20 wounded. 12 September 1942 – Refloated, followed by emergency repairs at Dutch Harbor and Kodiak. 3 March 1943 – Repairs and overhaul completed at Puget Sound Navy Yard. 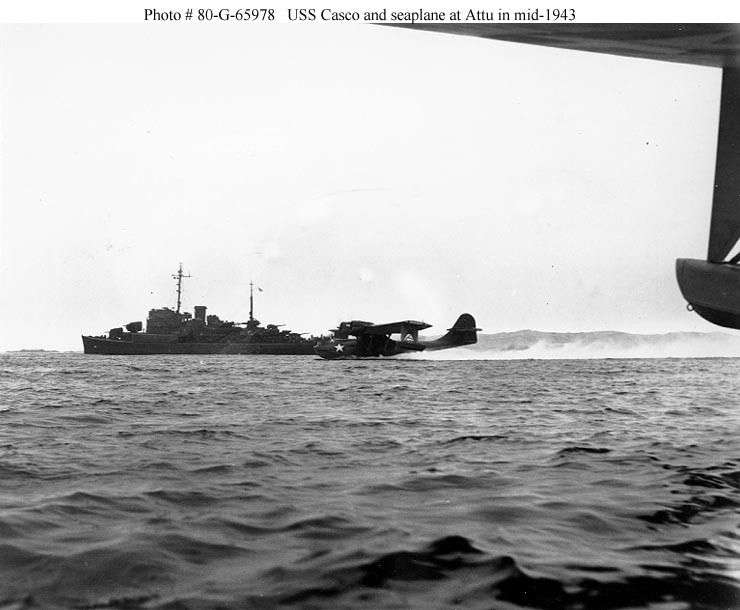 March 1943 - Returned to Aleutians, based at Constantino Harbor, Amchitka as tender to Fleet Air Wing Four. May 1943 – Supported US Army's invasion of Japanese-occupied Attu island as tender to seaplanes carrying out anti-submarine and search missions. 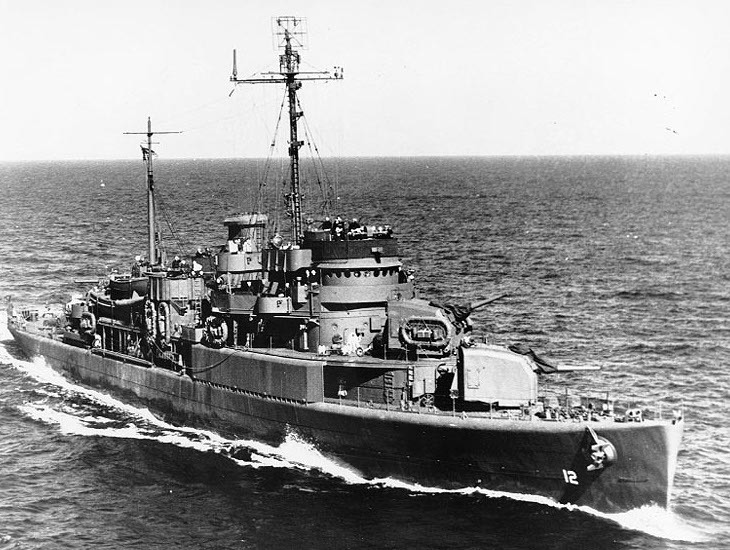 November 1943 – Sailed for Bremerton, WA for overhaul. February 1944 – Arrived Marshall Islands, tender to patrol squadron seaplanes at Majuro, Kwajalein and later Eniwetok. September 1944 – Temporary duties as cargo carrier during build-up for Philippines operations, shuttling between Saipan, Ulithi and the Palaus. 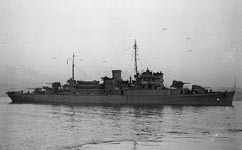 November 1944 – Returned to seaplane tender duties in the Palaus. 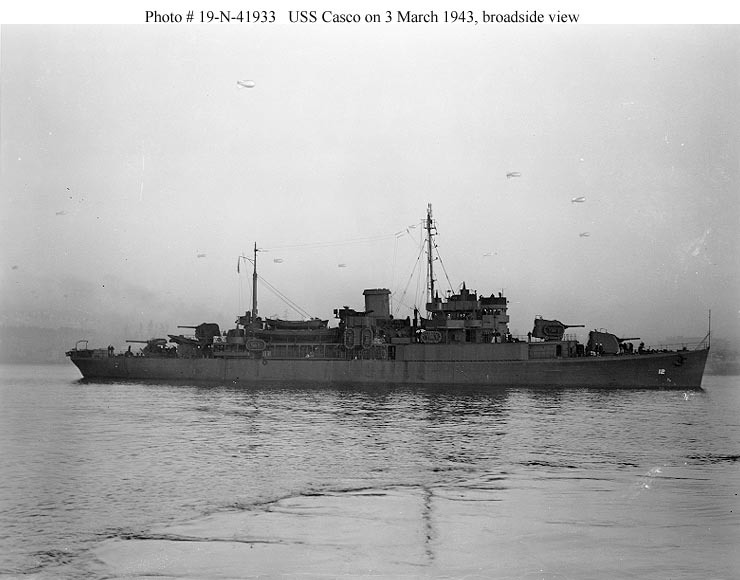 January 1945 – Same duties at Ulithi. April 1945 – Overhauled at Saipan. 25 April 1945 – Arrived Kerama Retto for Okinawa invasion. Tender to both seaplanes and a motor torpedo boat squadron. July 1945 – Returned to West Coast. 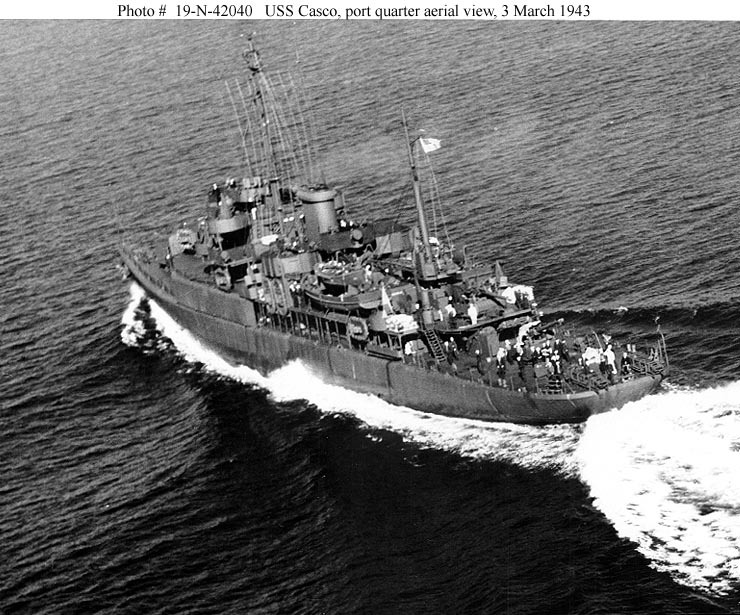 Spring 1946 – Returned to Far East for operations in Philippines, followed by training duties off Galveston, TX. 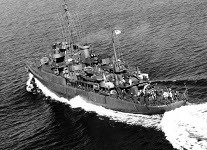 Fate - Decommissioned 10 April 1947, transferred to Coast Guard on 19 April 1949.